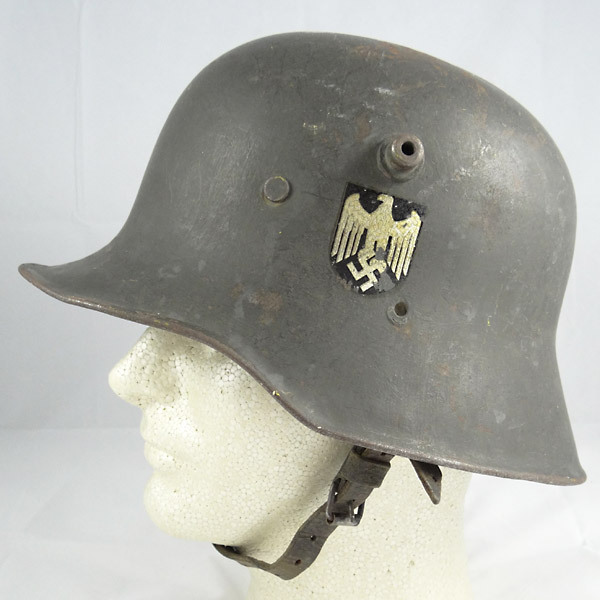 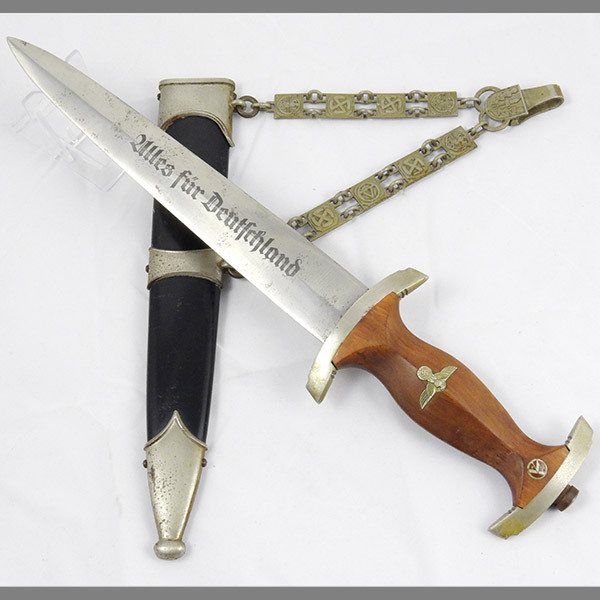 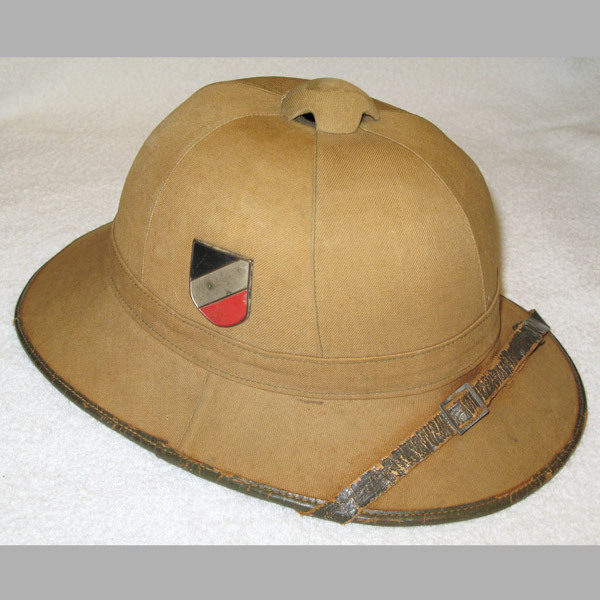 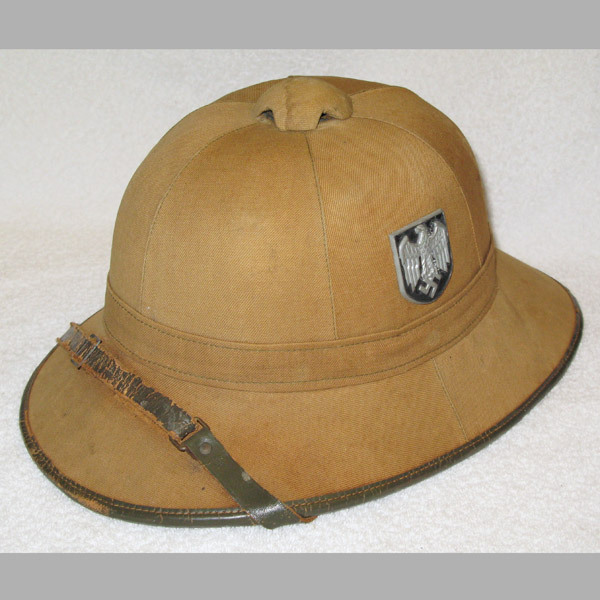 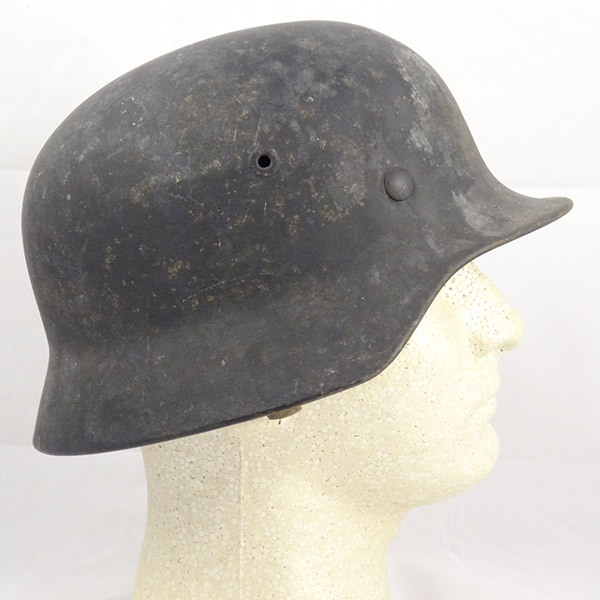 Here’s one for the experienced German Helmet collector looking for a Tropical Camo Helmet pulled right out of the veteran’s footlocker (literally). 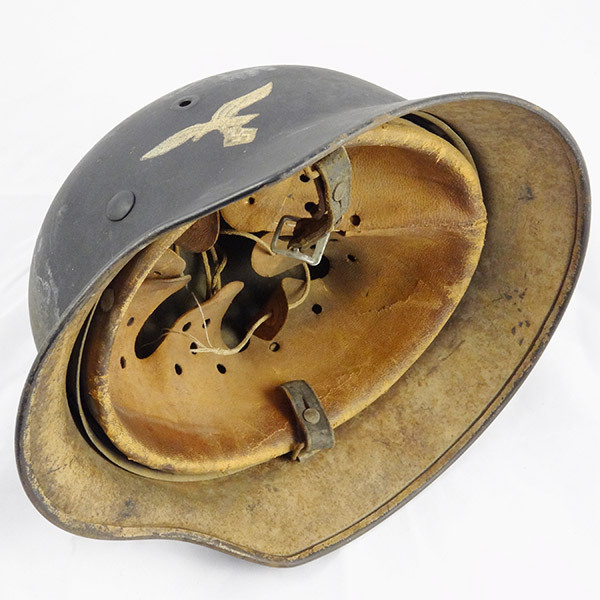 This gem tells a story that no other helmet we’ve encountered before can tell. 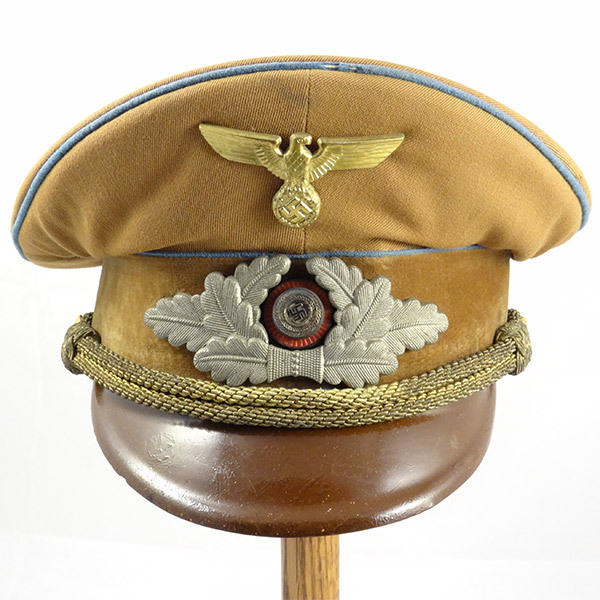 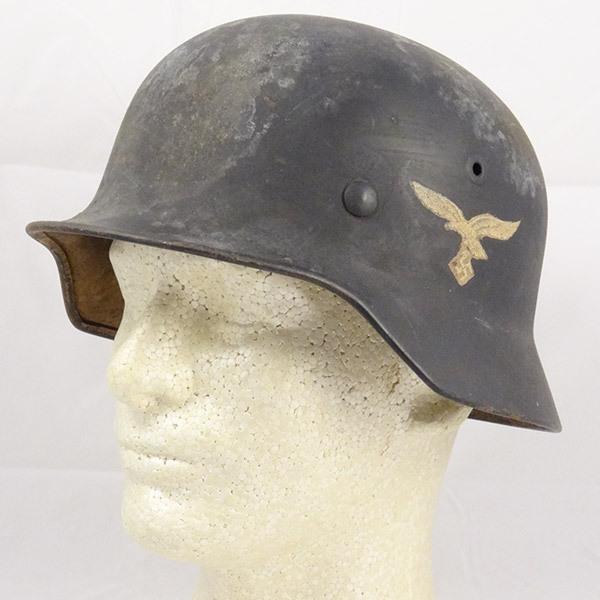 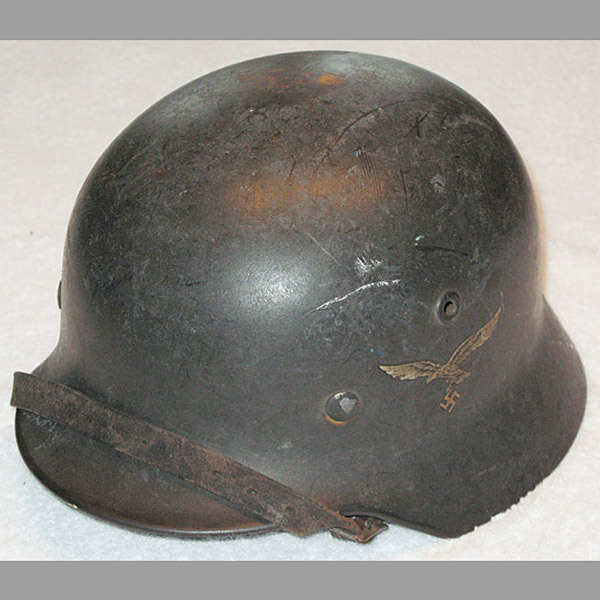 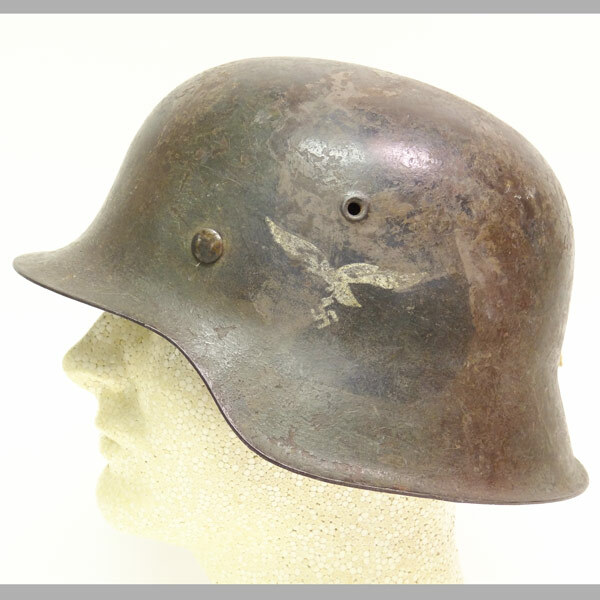 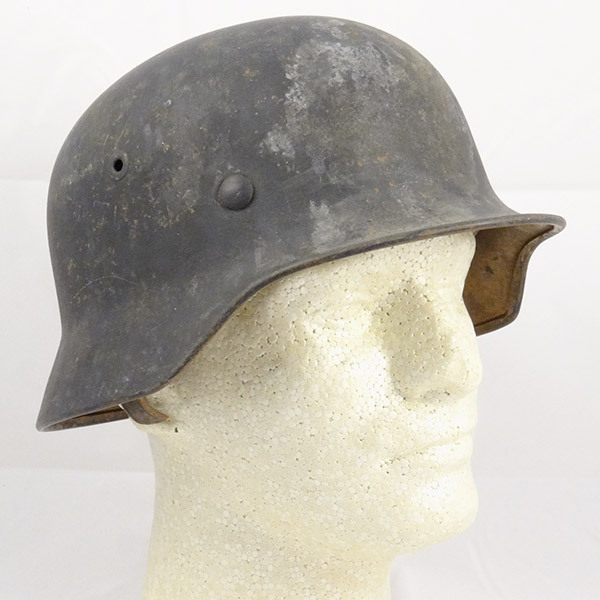 This very attractive German M40 Camo Helmet started as a standard Luftwaffe gray and was field hand painted to a Tropical Camo as many were. 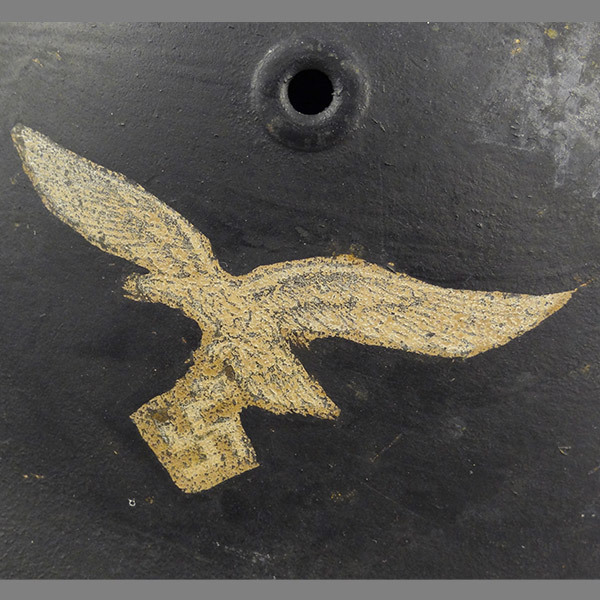 This is evident by examining the eagle decal, which has been “washed” over by the field applied tropical paint, and the interior which shows the very nice tan tones that are typical of a tropical field paint job. 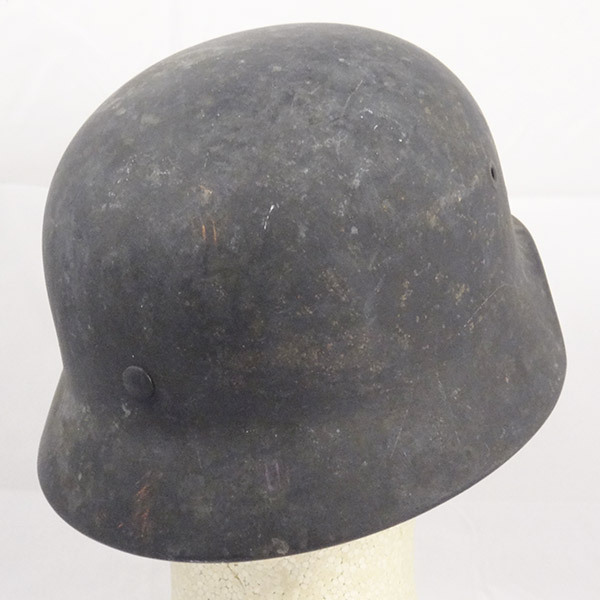 This is where this particular helmet’s “standard” life ends and its uniqueness begins! 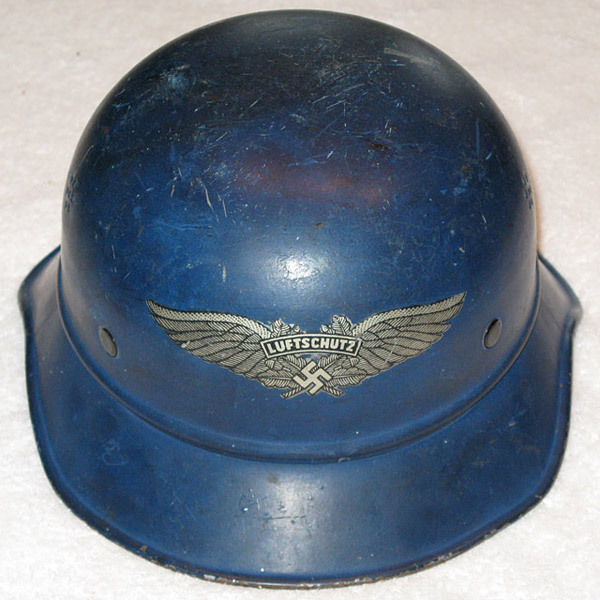 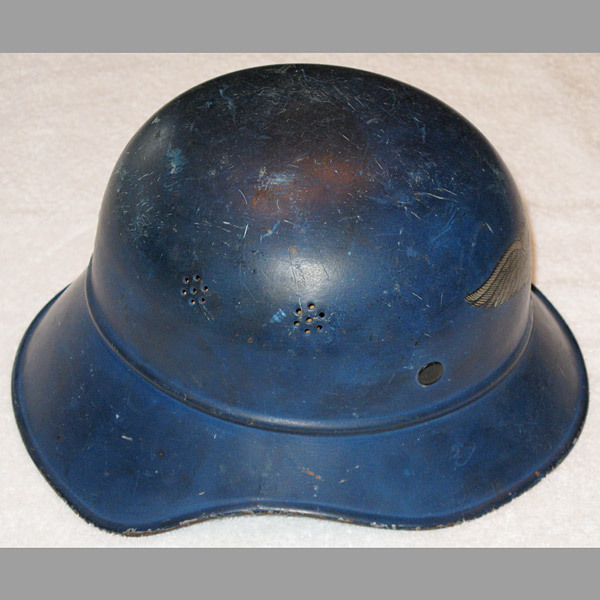 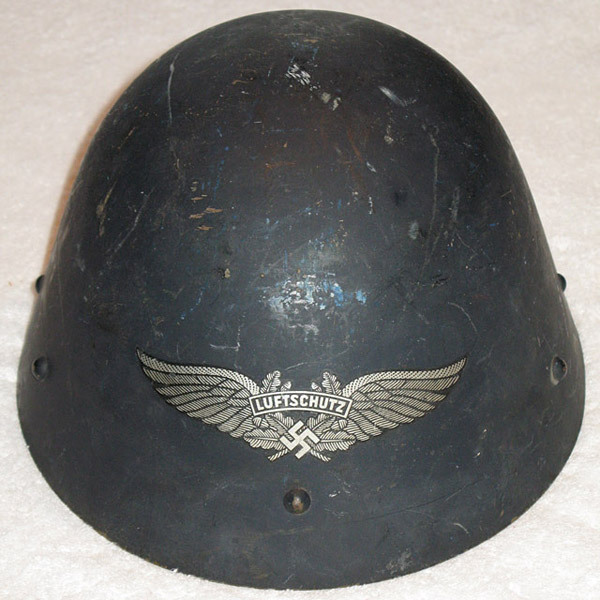 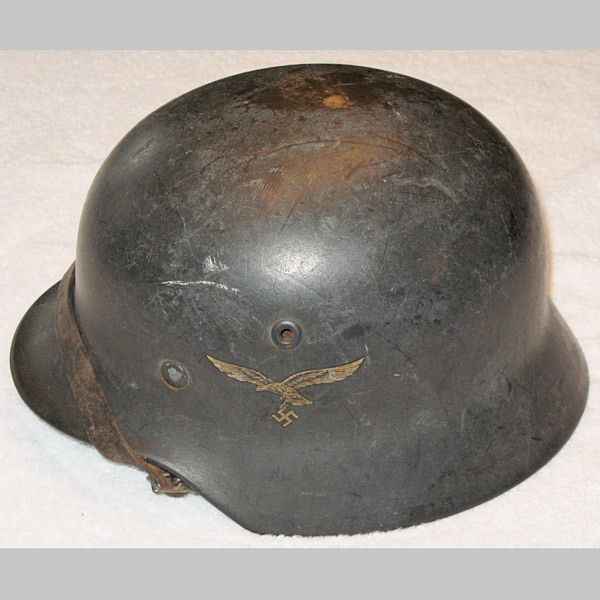 Looking at the exterior again we see that the helmet was very carefully hand repainted BACK to the original Luftwaffe gray at some point during the period. 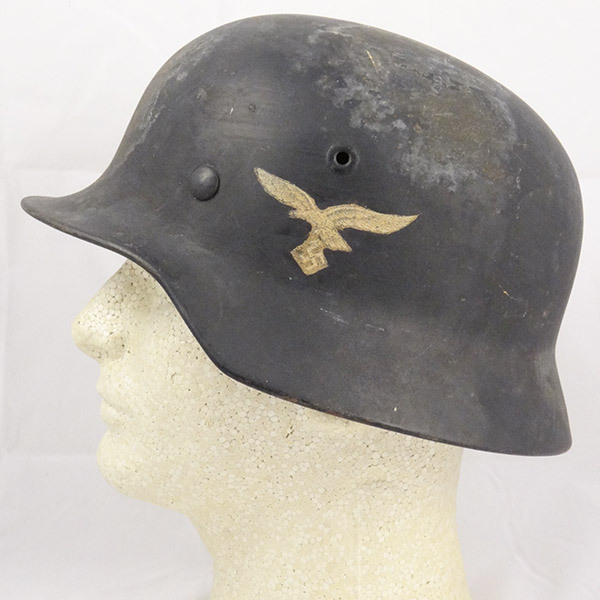 One can assume that this soldier returned from his service in the tropical front and decided to repaint his helmet back to its original color upon returning, being careful to cut around the eagle decal in the process. 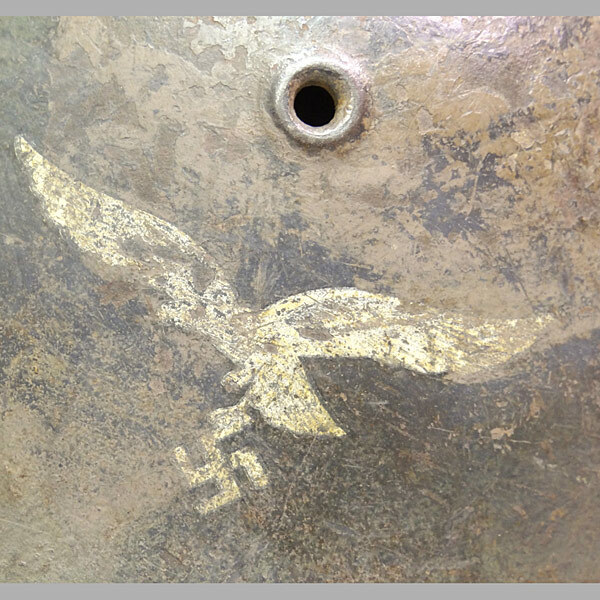 Close inspection of the eagle decal shows that this was done very skillfully by hand. 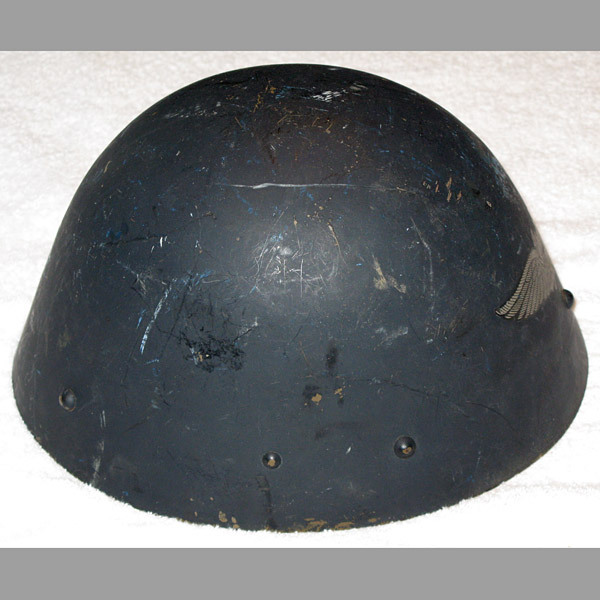 The liner shows is in very nice condition with wear consistent with the helmet itself. 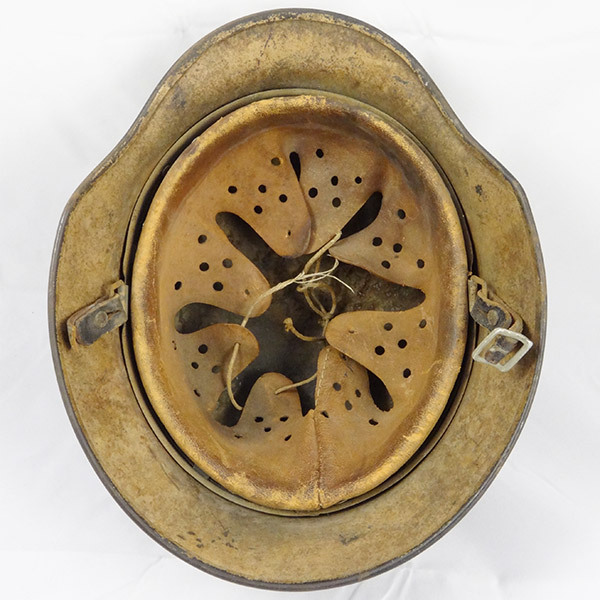 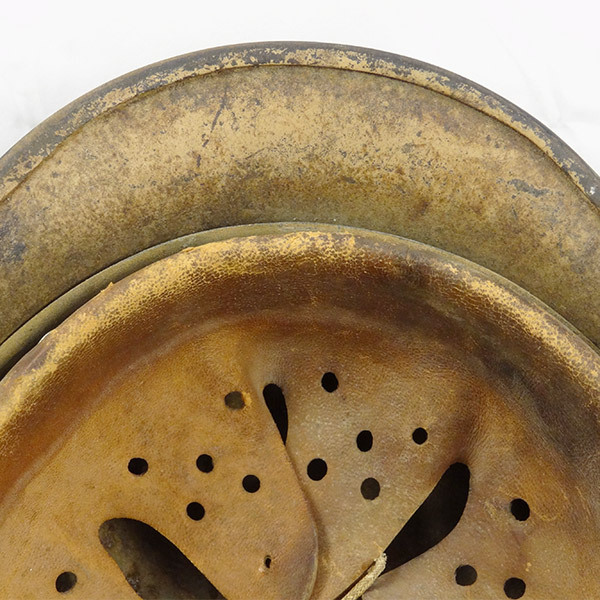 Parts of the chin strap are still connected, but the rest was lost to time. 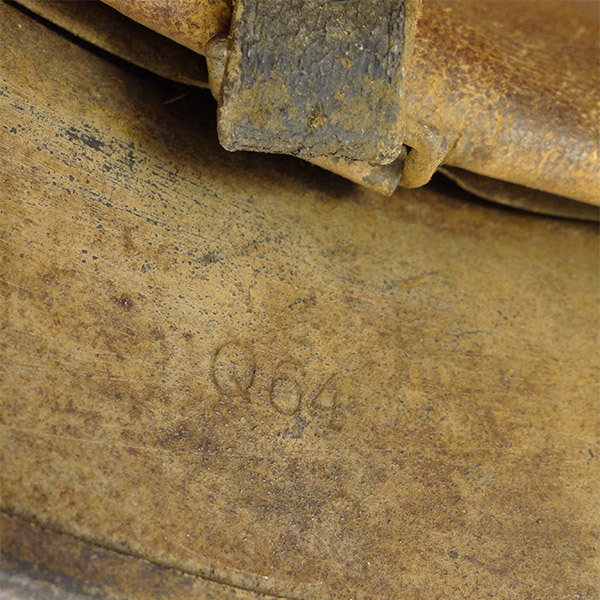 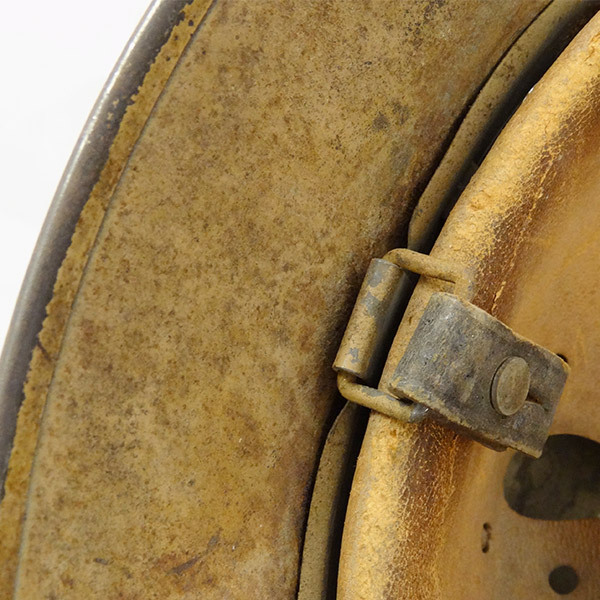 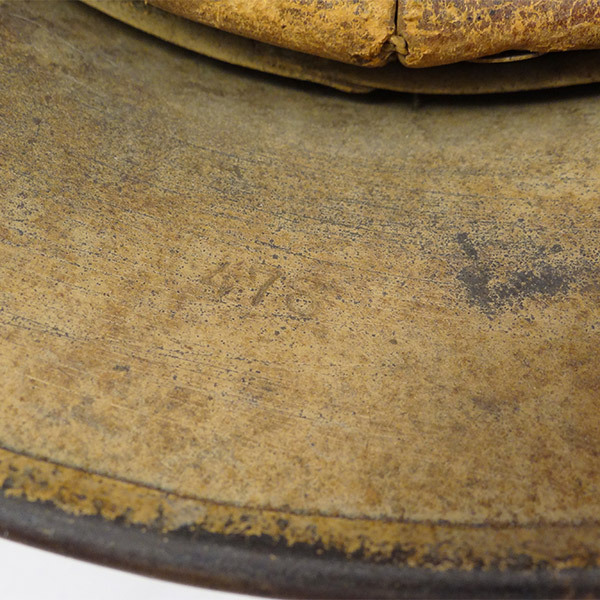 The correct “Quist” maker mark can be found stamped into the interior rim (Q64) along with the lot number 478. 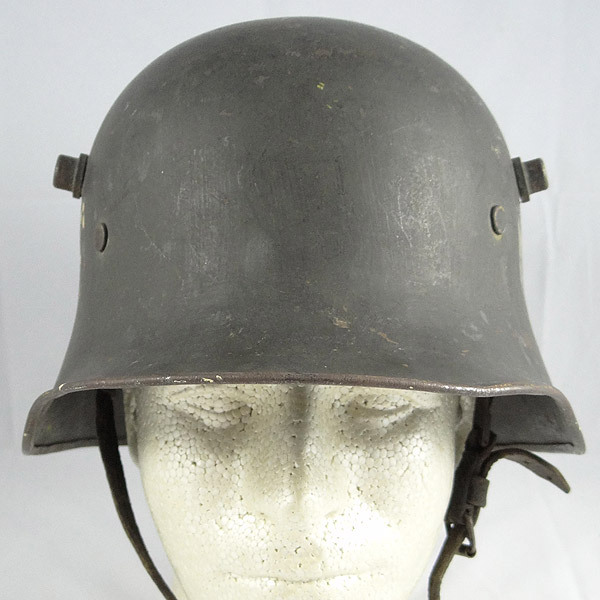 For the helmet collector who thought they’d seen it all, this is not a helmet you want to pass up! 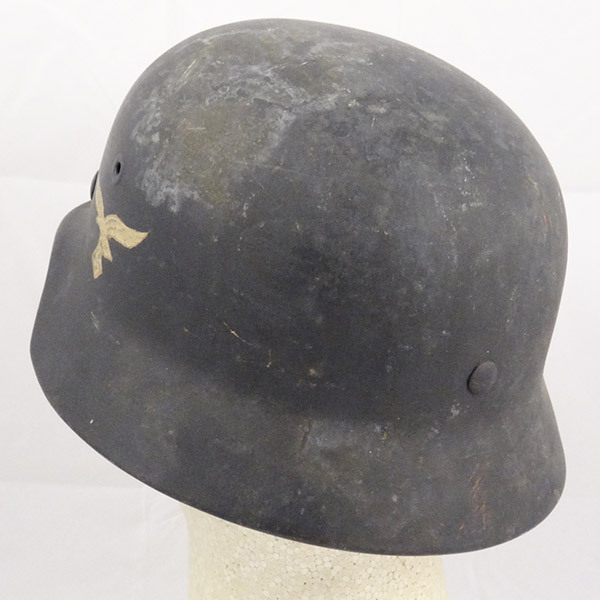 Rarely do we see camo helmets pop up as it is, but to see a tropical that was converted back to standard gray (by hand) is truly unique!